Serious gelato heads, listen up! In a sweet space next to Xico, a Pisa native is churning intensely wonderful flavors, freshly made daily. 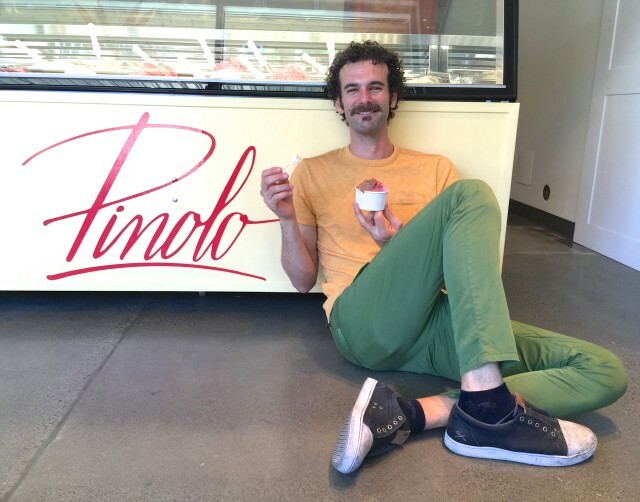 While other food businesses are scrambling for media coverage, Sandro Paolini is too busy actually crafting his goods to field a phone interview about his new gelateria: “I can’t talk. I must go. The gelato is making!!" Click. Never has getting hung up on felt more inspired. Here’s the deal. The day before, I had rampaged through a small collection of compelling flavors at Pinolo Gelato, Paolini’s new shop at 3703 SE Division St, next to Xico. His pistachio tasted like a journey to the center of the earth, nutty and salty to the core. The raspberry floated somewhere between a cloud and a berry patch. Fior di latte, the true test of a gelateria, was pure as the driven snow, and the chocolate? Forgeddabout it. Lush, bitter, and sweet notes jumped in every bite, made from little more than milk, a hint of cream and sugar, and a power-shot of Italian chocolate—three kinds, each organic and bean-to-bar. Boom. Every option surged with simplicity and intensity, backed by just the right temperature and creamy attack. As it turns out, he’s a charming, laid-back, 37-year-old Pisa native, relatively new to Portland. I tracked him down at the shop, where he churns fresh gelato in the back every morning. Pinolo Gelato looks like a typical shop in Florence. A case of swirling, colorful gelato greets you at the door, set beneath a modern constellation of hanging light wands. Lines are clean, the counter is marble. (But seating is very Portland: two tables, communal and wooden). He doesn’t espouse any philosophy per se, only a desire to capture what is rarely found in America—a true taste of his home town and Italy’s new natural gelato movement. Recently, he spent a year in Italy testing ingredients while learning the gelato art from a master in Pisa. Pre-mixes and overly sweet formulas are spurned. 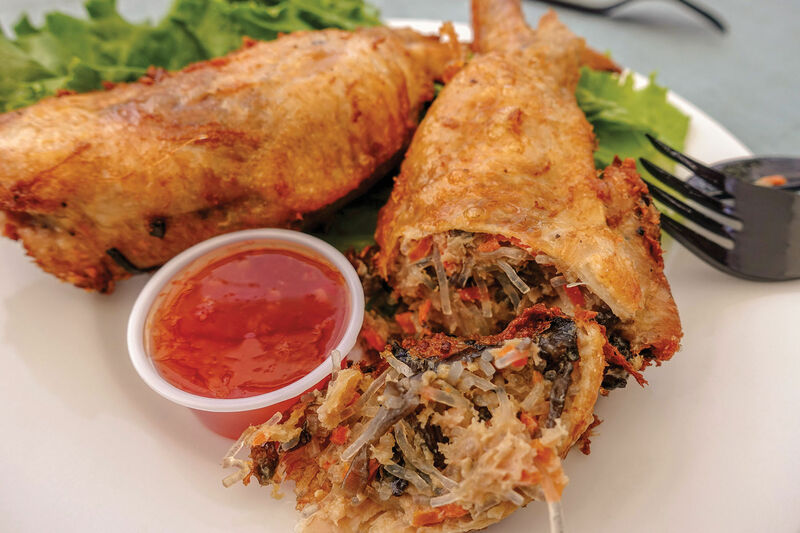 Paolini concentrates on good ingredients, proper temperature, and the essence of flavor. 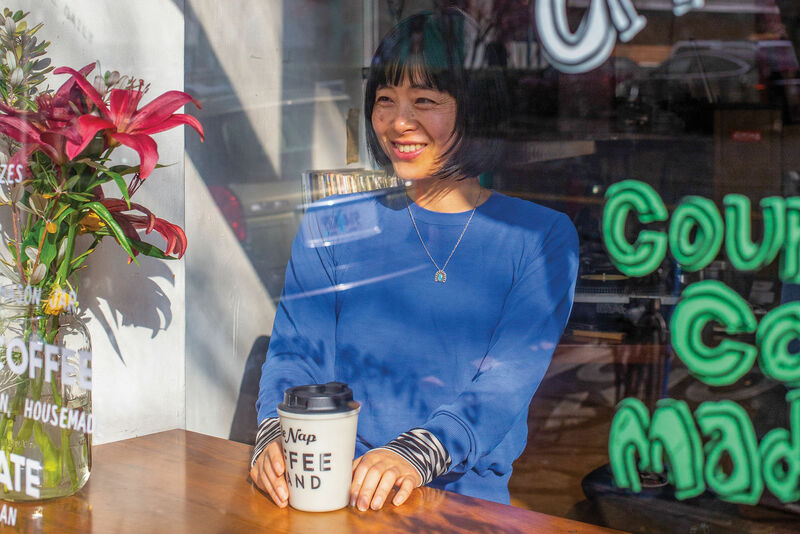 The menu focuses on about eight flavors, roughly half of them non-dairy and fruit-forward. As summer marches on, berry tones will yield to apricots and peaches. Fall will bring the shop’s namesake pinolo, or “pine nut,” a specialty of Pisa (he already has a stash reserved), plus other specialties known to Tuscany gelato hounds, like torrone and amaretti. 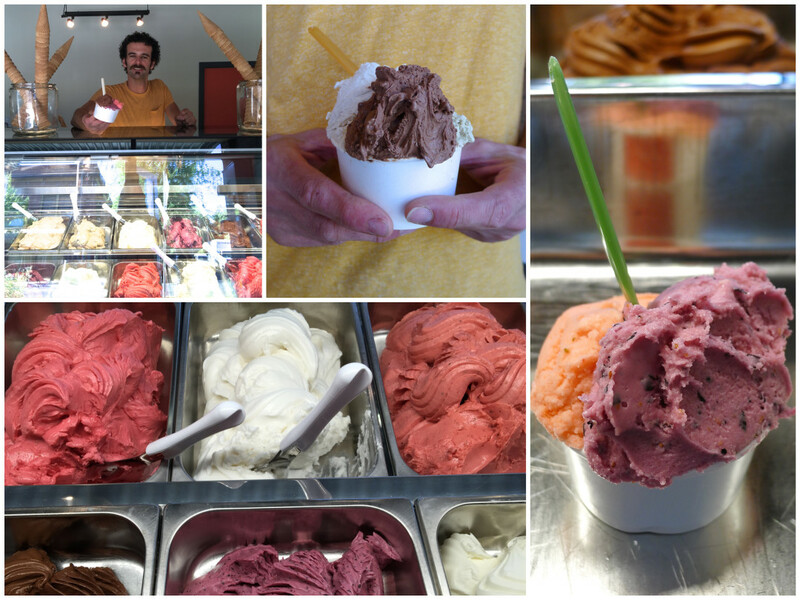 When in Rome, or Pisa, or on Division Street, the gelato rule still holds: always, always, order at least two flavors. 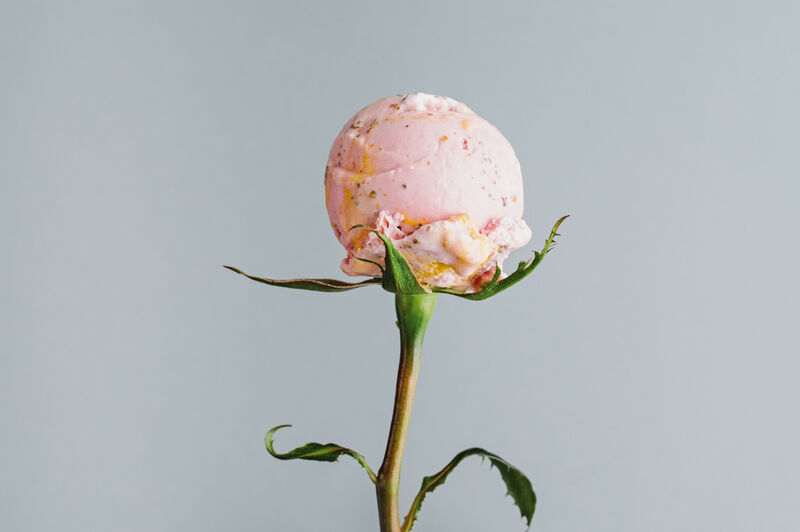 Gelato is not about candy bars, pretzels, and the like chunked into concepts; it’s about a frisson of excitement, what happens on the tongue when two tastes meet, dance, and electrify. 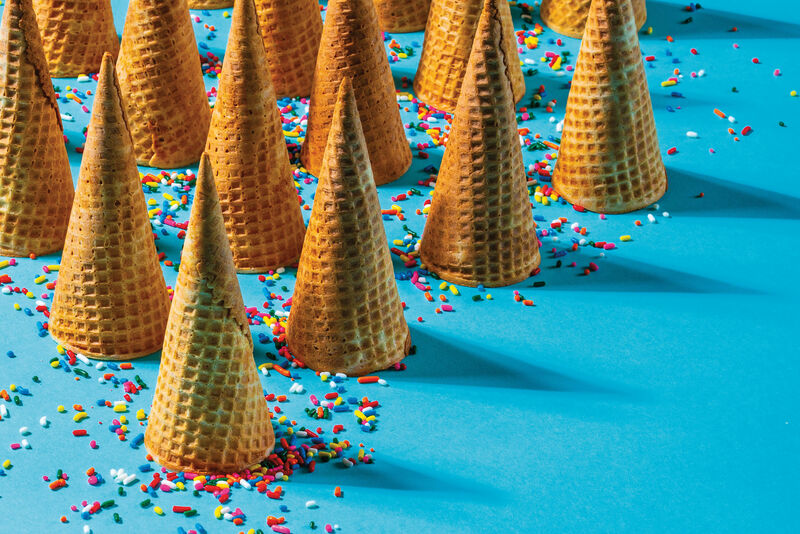 At Pinolo, two flavors go for $3.75, each properly paddled and schmeared on the side of a cup or cone until the two meet in the center. Cioccolato and Lemon: It’s tastes like a wild-child chocolate lemon bar, one side a rich rush of bittersweet happiness, the other a clean, tart, smack you upside the head landscape of citrus gold. Hazelnut and Pistachio: Yes, it feels like cheating on Oregon, America’s hazelnut HQ. Paolini prefers the Piedmont variety, ground into a paste and whirled into what can’t be denied: the most delicate, buttery hazelnut gelato I’ve ever tasted. The pleasure doubles alongside the outstanding pistachio, deep in beautiful Sicilian nut paste. Either one—or both—also shine bright with cioccolato. Blueberry and Raspberry: For a righteous taste of the season, pure and simple, this is it.